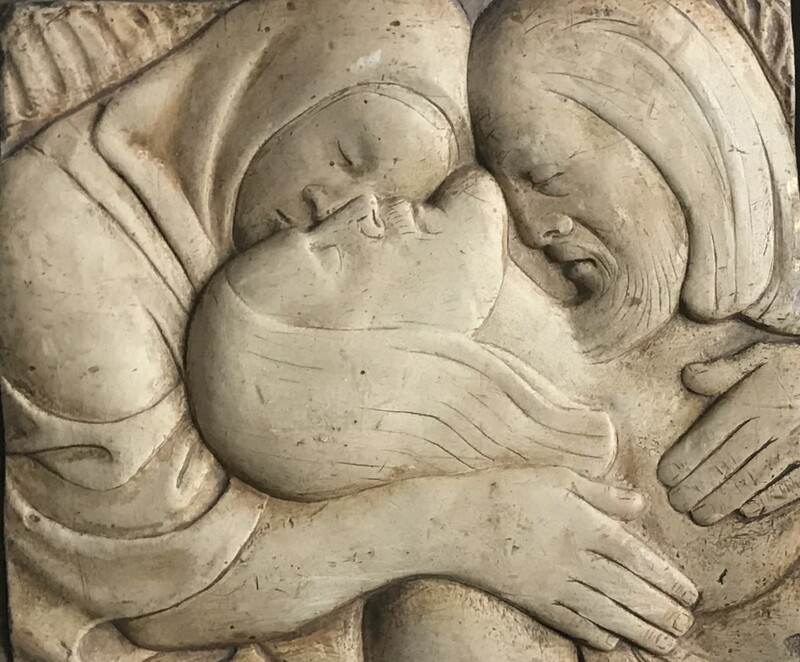 An immensely powerful and tender image of Christ intertwined with the Virgin Mary and another figure. Copnall was an eminent sculptor and a leading figure in British public sculpture from the 1930s to the 1960s. His commissions included those on Chelsea Embankment, St. Paul’s Churchyard and the exterior of the RIBA building in Portland Place. He was the President of the Royal Society of sculptors.